HAPPY INTERNATIONAL DAY OF THE GIRL CHILD & YEAH MALALA! Yes, Happy International Day of the Girl Child, and the timing couldn’t be more perfect happening back to back with Malala Yousafzaih of “I am Malala” book fame winning the Nobel Peace Prize, the youngest recipient ever! Recently I blogged about Malala in a post entitled “Malala, an inspiration”. And how appropriate is this year’s theme’Empowering adolescent girls: Ending the cycle of violence‘. 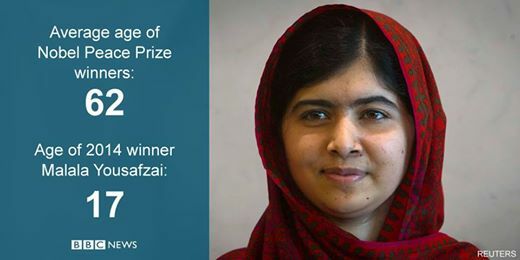 What Malala really went through surviving a Taliban bullet to the head in October, 2012! Bravo, in the spirit of hashtag heforshe, how about… It’s all about Women supporting BUSINESS. Did you know that 1 in 11 jobs worldwide is in the tourism sector and the majority of job holders in the tourism sector are women? Yet in Ghana there is little or no political will to promote tourism, ironically despite the fact that there is a woman Minister of Tourism and a woman Minister of Foreign Affairs. In this respect I initiated a social media campaign advocating for scrapping short term tourist visas to Ghana in May, 2013 in order to brand Ghana as a country open to tourism and to boost international leisure tourist arrivals. Not surprisingly, the campaign has failed to promote dialogue. I just thought some women in your network might be interested in joining the campaign in a leadership role to forward the sector that has so many women involved. Good luck with the group. Hope I get a response…. Was hoping to read something about Malala’s winning the Nobel Peace Prize for all he work on girl child education on October 10 and about at least a national event celebrating HAPPY INTERNATIONAL DAY OF THE GIRL CHILD on October 11th. Connecting Ghana to the rest of the world is so important. Hope something is on another site, not on the official site…..